IDF preparing for a resumption of rocket fire from Gaza before the end of the current five-day ceasefire. 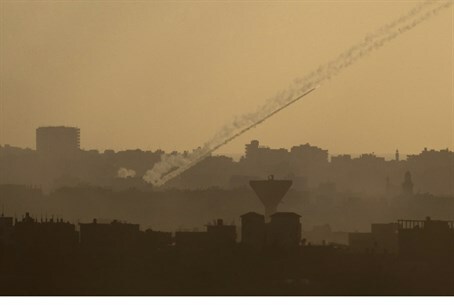 The IDF is preparing for a possible resumption of rocket fire from Gaza on Monday evening, as the current five-day ceasefire is set to expire. The ceasefire is set to expire at midnight, but Hamas has been known to violate truces before they officially expire. The high alert for Monday evening comes in the wake of estimates of diplomatic sources in Jerusalem that the chances of a lasting ceasefire deal before Monday night are very slim. Earlier on Sunday, as truce talks in Cairo continued, Israel pre-empted any agreement by unilaterally offering Gaza a concession and lifting a ban on fishing in the Hamas enclave.